Tours across lakes of Kyzylorda region. Trips on sights of Priaralsky Kara Kum. Zhaksy Kylysh is in 22 kilometers to the east from the city of Aralsk. From the North the lake is limited to the ridge Zhaksy Kylysh, with the maximum heights to 149 meters above sea level (Zhaksy Kylysh hillock). In the east of the lake there are Priaralskiy Kara-Kum sands. Salty water in the lake is the brine, composition of water which to maximum is filled with salt, thickness of a bedding of salt layers from 1 to 2 meters. The first developments of Aral of salt lakes, this beginning to formation of the Aral salt industrial complex, began in 1913. In 1925 on the basis of Zhaksy Kylysh of salt lakes the artel on extraction of salt was created, became a basis of today's enterprise. In 1927 under the resolution of the Soviet government the enterprise was given the status state, and it began to be called "Salt trust". Such name remained in memory of many residents of the settlement of Zhaksy Kylysh and the Aral district. Salt is extracted by means of the special combine on salt lakes of times in two years and are delivered to plant in railway cars. Seasons of extraction of salt begin in May. For one season raw material inventories which are enough prior to the beginning of the next season are got. As a result all the year round in the yard of the enterprise there is a huge mountain of salt. Since 1963 on the lake also extraction of sulfate of sodium from the lake was conducted. In day 250 tons of food table salt are produced. - 180 tons from them are packaged in special packages, 70 tons - in bags. Depending on demand in a month from 6,5 to 7 thousand tons of salt are produced. In a year about 120 thousand tons of salt from which about 80 thousand - food table salt, the rest - salt which is used for technical needs turn out. aralets deliver gotovy production to all regions of Kazakhstan, and also to Kyrgyzstan and Russia. 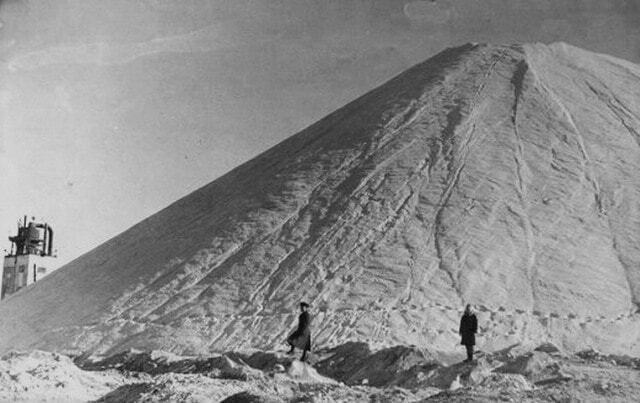 In 1913 the first exploitation of Aral salt lakes was started, and this became the formation of Aral salt industry. In 1925 the company “Sol-Artel” was established at Jaksylysh salt lakes. This establishment became a base of the company existing now. In 1994 the privatization and denationalization took place, and JSC “Araltuz” was established. In 1996 the rehabilitation measures as well as equipment modernization and installation of new packing line for polyethylene package of the salt were started to comply with international standards. In 2002 - the JSC “Araltuz” implemented, without operation stoppage, the new technology of secondary salt concentration, which allowed to significantly improve the products quality. Alexander Petrov and Kyzylorda Vesti newspaper, author Kazybek Botayev.